2017/18 Corner kicks taken: currently 0. The United Irishman "Martial is championship material at best"
Very useful squad player but also extremely injury prone. I don't expect him to be a first choice for Mourinho this season, but a trusty player to call upon when needed. 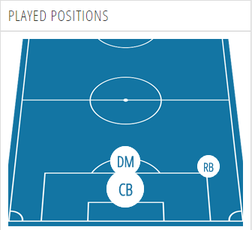 The Played Positions pic is missing AM and LWB. Just me or does he look slimmer than ever on the pictures from LA? Perhaps, being bulky could/probably did play a part his perpetual injury issues. One of the best angles...and look at this right index finger, all bent out of shape like his body and face. How can a player who is always injured be a trusty player to call upon when needed? 9/10 when he's needed he's injured. I know why he makes those faces. He is gutsy enough to keep his eyes open even when heading the ball and tackling. My guess. Did you read my post?? Are you telling me that he isn't a useful squad player when fit...I'd rather have him in the squad than not. I'm saying he's not fit enough on a regular basis to be useful. 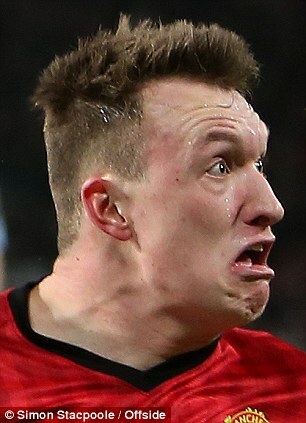 This is why I love Phil Jones and really hope he can overcome this injury nightmare. Not bad today.. actually very comfortable with the ball, passing around freely. But I doubt he can overcome his injury. I'd go as far as saying he's England's best senior centreback; he's a better defender than Stones (and more productive with the ball too), better footballer than Smalling, more complete than Cahill. He's just been hindered by chaotic positional/managerial changes and injuries; had he got 3/4 years under Ferguson/Capello, he'd be a much steadier player now, but Jose might just be able to salvage something. Has to be said as well he looks very good in a back 3; was decent for England as well. Maybe lacks the reading and positional composure to play as part of a 2 sometimes, but he's always covered in a 3. The hybrid centre/full-back role that formation entails allows him to finally indulge his defensive instincts without a detrimental impact on the team, as he's always been something in between both positions. Even so, I can see him having some kind of positive impact this season. If he is injured all the time, no, i would not have him in the team. Will not buy in to the "he's over the injury phase" hype when he plays two back to back 90mins and then is out for months because he did his cruicate playing Fifa. I find it amazing that he signed for us in 2011. Poor chap hasn't made too much progress since then, with his injury record. Sir Alex spoke highly of him and i think he's showed more than a few glimpses of his talent. Just hope this season works in his favor or it's curtains for him at United. Comfortably the worst player in first half with Blind I think ? Caught very easily in the goal and couldn't do anything with their attacker. He's part of a group of players here who can look like a beast in one game then terrible in the next one. Pretty inconsistent. He was very poor today, lets hope he is at best a squad player in fact Axel is given games ahead of him. Sums United up as a whole recently tbh. Represents the folly of over paying on contracts and the problem with the home grown quota. I've nothing against the guy but at this rate he's going to end up getting a testimonial. Year after year after year he pops in for the occasional appearance, gives us a mixture of decent to abysmal and then goes back to spending the odd hour a day with the clubs physio. Have seen a few comments about him being a good squad player, but really? Whats the point of a squad player who is never fit? I would prefer he is moved on and any minutes he would have got go to Axel/TFM instead. He's in no way a good squad player. If Smalling had defended like Jones for on goal last night there would probably be 3 extra pages of posts. Its time to put aside sentiments and get rid of both him and Smalling. I think Rojo, Lindelof, Bailly and Tuanzebe would suffice with Blind as a last resort. 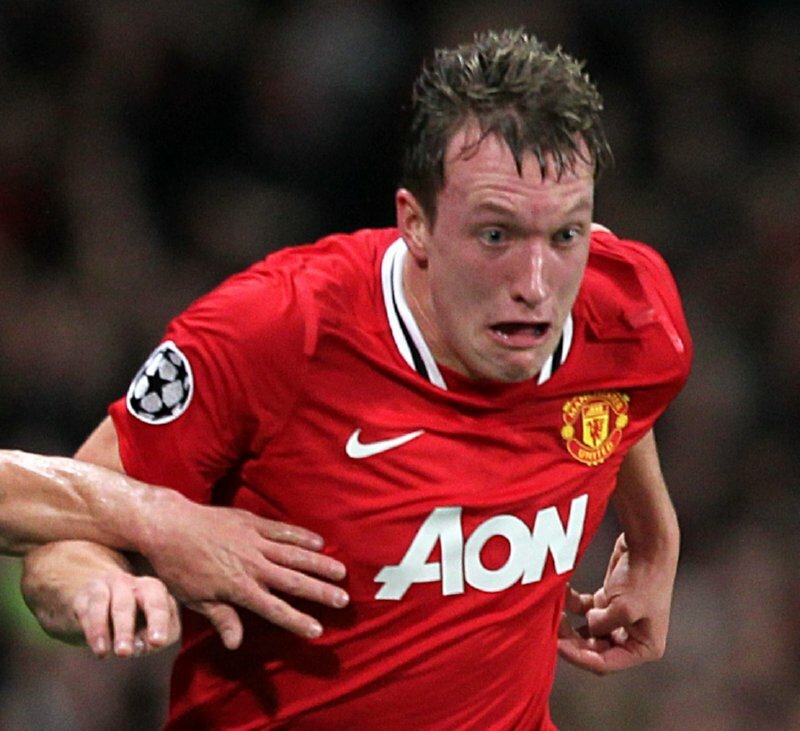 It's funny when people say he is better defender than smalling. 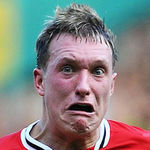 Jones is a walking calamity , he sometimes defends like schoolboys and make silly errors. He doesn't have the ability to read the game well. It will be a shock if our club sells smalling or blind but keep this clown. Yeah, I've never understood him being rated above Smalling either. 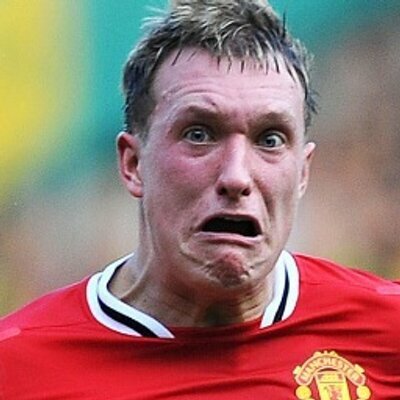 Smalling's comfortably the better defender. Young and learning at the age of 25. Since he's relatively healthy for now, the rehab gang will never be the same. Great performance by him today. Seemed to form a great partnership with Bailly. Might end up playing himself into the first XI against West Ham. Prone to the odd mistake but overall he's looked good in pre-season so far imo. Yeah, he was fantastic today. Great anticipation for some of the chances. Wishful thinking but maybe this could be his season.